Promote your festival of all things Mexico with the Mexican Hat Postcard Mailer! Presented in hues as rich and varied as the country itself, this postcard is an attention-getter! In addition to a professional-looking design, it has thirteen lines of customizable text with which to lay out celebration details. Custom prints on quality card stock and mailed directly to those on your list via USPS First-Class Mail. 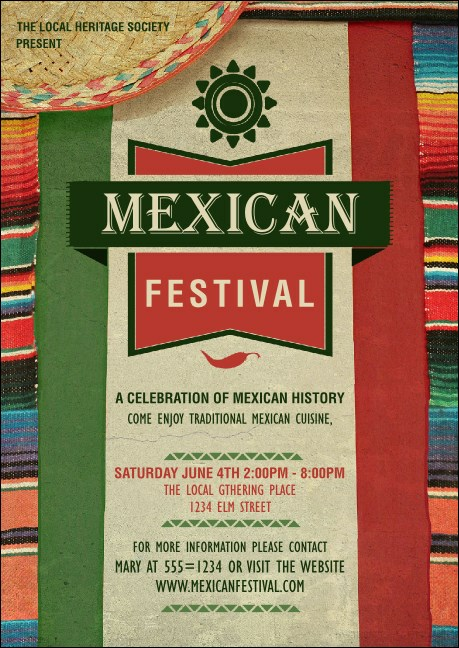 Publicize your cultural celebration via direct mail with TicketPrinting.com!